Synopsis: Peter Augustus Duchene wants to know if his sister is still alive. A traveling magician wants to perform the greatest magic of his career. Tomas wants to be able to sing his songs; his dog Iddo wants to be able to carry messages again like he did in the war. Bartok Whynn wants to be able to carve one final creation out of stone. Policeman Leo Matienne ponders the questions ‘what if?’ and ‘why not?’ Adele dreams of an elephant that comes knocking on the orphanage door in search of her. 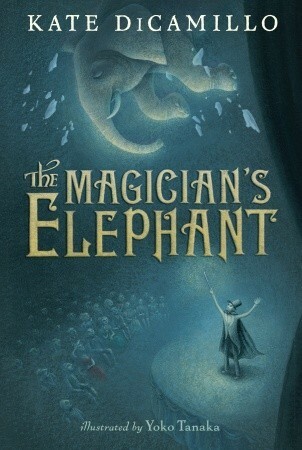 All of their fates are tied to the sudden appearance of an elephant, and their lives become intertwined in the most fantastic way. Why I picked it up: I bought it at a second-hand bookstore as a birthday present for myself. Why I finished it: This book is very lyrical and thoughtful in the way it ponders how the impossible and unbelievable become possible. All of the characters are in search of some manner of love and warmth, but somehow the ordinary day-to-day is insufficient enough to be able to change the course of their lives. This desire to belong and to be understood is something to which the reader can relate. We empathize with Peter’s aching desire to be reunited with his sister. We understand the magician’s motivations to perform some marvelous feat before he moves on. We identify with Leo Matienne’s ponderings, wondering if we ourselves are or could be part of something much larger than ourselves. And in a way, all of the characters have a part to play in making each other’s dreams into realities. The plot does have a very flowing quality to it, gradually drifting from page to page, enticing the reader to continue their journey. What tripped me up was the quantity of secondary characters that DiCamillo introduces in the latter half of the story. They are likable enough in their own way, but they seem to distract from the primary focus of the story and don’t seem to have much of a function in the larger picture. Yes, their lives are affected by the appearance of the elephant, but to a much smaller degree that, quite frankly, the story might have managed without. Tanaka’s illustrations are very reminiscent of The Invention of Hugo Cabret in that they use strategic shading to bring the scene to life. The variation of the lines in the drawings have a poetic quality to them that matches DiCamillo’s writing perfectly. It’s a sweet story about the power of love, the belief that anything is possible, and proof that one should never stop asking questions even if there seem to be no answers. Synopsis: Jonas lives in a perfect world in which everything is enveloped by Sameness. There is no pain, no suffering, no disease, no colors, no weather, and everything about one’s life is decided for them by a community of elders. At the Ceremony of Twelve, where children are given their job assignments and make the transition into adulthood, Jonas is chosen to be the next Receiver of Memory. 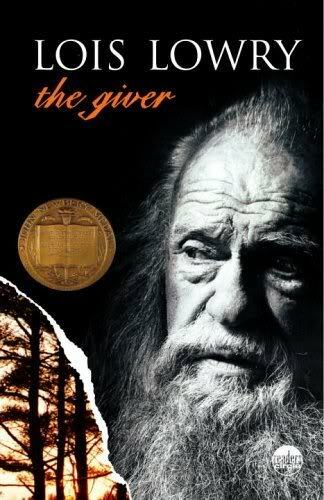 He is trained by a man known only as the Giver, who exposes Jonas to memories of life outside of Sameness, leading Jonas to question the society in which he lives. Why I picked it up: I remember reading this in 5th grade and disliking it, but decided to give it a second chance. Why I finished it: As much as I love science fiction and tween/teen literature, this book does not make me love the combination of the two. The plot and the storyline are very well crafted and bear many of the hallmarks of science fiction literature: people living in a futuristic society in which certain restraints are put upon them and a situation arises which leads them (or a select citizen) to question the practices in place. Jonas is a likable character – though he is part of a cookie-cutter world, he still has his own thoughts, opinions, and abilities which lead the community leaders to choose him to be the Receiver of Memory. As the novel progresses, he is able to slowly move toward the understanding that there is indeed a grey area of the world and becomes understandably emotionally shattered when he realizes that the societal hierarchy exists merely to lie to its citizens. However, I would not call this a children’s book – the themes and much of the content is not generally suited toward an upper elementary audience – and believe it to be better suited for YA, though the protagonist is 11/12. The book is also full of vocabulary terms that younger readers may have a harder time grasping, which is perhaps why it is an ideal choice to be used in a literature unit. Its premise is memorable for a reader, but at the same time has the feeling of being a largely forgettable classic when read in a classroom setting. 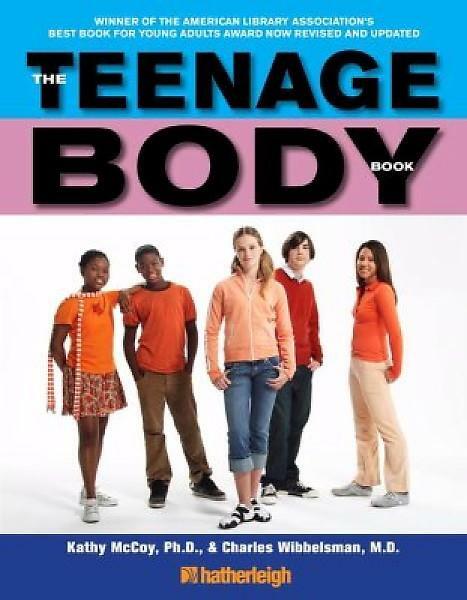 The Teenage Body Book: A New Edition for a New Generation by Kathy McCoy, Ph.D., & Charles Wibbelsman, M.D. Synopsis: Growing up is scary and confusing – your body is changing, your emotions seem out of control, and everything from friendships to relationships are more complicated than ever. The Teenage Body Book covers everything teens need to know about sexuality, nutrition, health, emotions, fitness and more. This new revised edition also features a 15-teen panel dedicated to giving real world advice and answering commonly – and uncommonly – asked questions the reader might be too afraid to ask. Why I picked it up: I was looking for a good book to learn more about changes that happen in puberty, and it fit the bill. Why I finished it: It definitely won’t replace the awkward period talks with my mother or the grotesque videos they showed in health class about “Our Changing Bodies”, but for kids and teens not willing to talk to their parents or friends and brave enough to check it out at the library, this is a great resource. Masters and Johnson it is not, but the teen panelists and the questions that were submitted to the authors make it more accessible and friendly to a teen audience. Being a teenager is such an awkward stage that (thankfully) has a large number of publications that deal with the subject of puberty and growing up, but many of them are written by adults, for adults; frankly, that’s not the kind of thing I would want to read, and I don’t know that many others would either. What I liked about this book is that it covers everything from soup to nuts: commonly asked questions about first periods, body hair, drugs and drinking, mental health, special medical needs, sexuality, birth control and STDs, even a chapter about how to ask for help and where to get it. I almost wished I’d known about this book sooner. Synopsis: Eleven year-old Lyra Belacqua has lived at Jordan College in Oxford since she can remember, having no family except for her formidable uncle, Lord Asriel. While eavesdropping during a closed meeting, she hears mention of a magical element called Dust and its proposed link to a lighted city in the Aurora Borealis. Soon after, children are kidnapped from all over England by Gobblers, who are said to eat them, including Lyra’s friend Roger. She moves to London with the mysterious and beautiful Mrs. Coulter, who promises to take Lyra to the North to find the lost children. At a cocktail party, Lyra hears more talk of Dust and Gobblers, leading her to set out on her own to rescue Roger with the help of an alethiometer, her daemon, gyptians, and an armored bear. Why I picked it up: It was sitting in my ‘to be read’ pile and since it has a reputation as a challenged/banned book, I thought it was an appropriate choice for Banned Books Week. Why I finished it: I was surprised that this was published as a children’s/young adult book when I started it, since the writing style is very precise and descriptive in a way that is normally reserved for adult books. Though the narrative is centered around a pre-adolescent girl, the reader instantly perceives a prim and proper tone, as though the story were being told by a group of adults sitting around drinking coffee and contemplating the meaning of life. Pullman has definitely captured the essence of his eleven-year-old narrator, it lacks the feel of having been written for an eleven-year-old, perhaps proving the point of many reviewers who believe that the story gets better with the age of the reader. 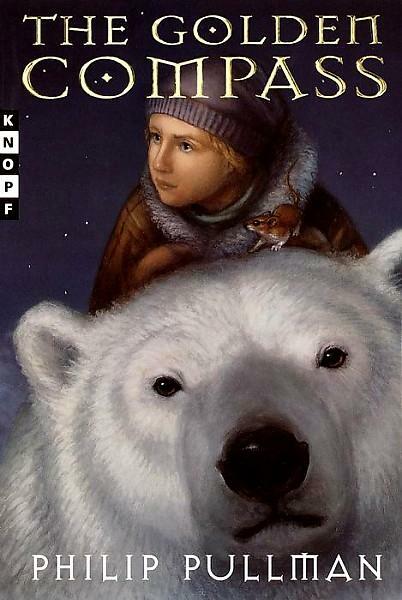 The Golden Compass is thoroughly imaginative, thrilling, and thought-provoking in its dealings with worldly matters, politics, religion, and status. There were few moments where I was bored, but a great many left me confused: for instance, I did not feel the Pullman fully explained the essence and purpose of a daemon, other than to say it is a reflection of a person’s soul and sense of self. I don’t know what else he might have pulled into that, but I feel like there should be more there. I was also somewhat disappointed in the exhibitionist ending. I know it’s a series and that there are two more books, but rather than having the final scene be a cumulative explanation for character motives, I was still more or less confused as to what was going on with the Dust/child and daemon connection.